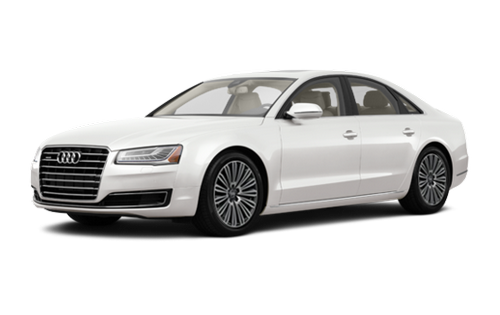 Click Here to get Your Audi A8! When it comes to luxury there are very few cars on the road that can hold a candle to the Audi A8. This is a vehicle that speaks to sophistication and elegance while still remaining an exciting ride. You will inspire awe and jealousy in equal measure with hand crafted leather seating along with all the modern luxuries you'd expect from a top of the line vehicle. Once you see the A8 in action you will know that this is the step up you have been looking for. When it comes to finding an Audi A8 near Vancouver there really is only once place to go: Audi Langley. As the quality of the vehicle goes up it requires a more deft touch from the dealership. The nicer the car, the more a specialist to guide you through the process shows their value. Fortunately, here at Audi Langley we are Audi experts with decades of collective experience under our belts and we are happy to walk you through every detail. So, when you are ready, we are at 5955 Collection Dr. in Langley, or you can give us a call at 877-753-9552 to set up an appointment or a test drive! It's difficult to even talk about the A8. It's a bit like trying to describe a particular shade of green. Yes, we can say that it is, from the top to bottom, designed aerodynamically, and that it has an available 8-cylinder V8 engine capable of taking the A8 from 0-100 in 4.6 seconds, but this information pales in comparison to the real thing in action. You'll just have to trust us on this, if you've made it this far in your search for an A8 near Vancouver you owe it to yourself to call us for a test drive. Again, we cannot reiterate enough how the best way to experience an interior that is the very definition of luxury is to ride in it, but we'll do our best to fill you in with some details. With hand crafted leather seats and an extended wheelbase, your passengers can stretch out and enjoy an experience like no other. For you, two touchscreens, with haptic and audio feedback, allow you to control every element of your drive from climate to navigation, and this is just the start. A few minutes behind the wheel and you'll be sure that the future drives an A8. With the sophisticated Natural Voice Control system in place, the top of the line will never be a lonely place for you. Even on long car rides you can count on the digital professionalism of a your invisible assistant to carry you through. Activated from the steering wheel, your polite, engaging co-pilot understands and responds with everyday and natural phrases. This incredible piece of technology not only allows you a more hands free approach to controlling your A8's features, but will happily guide you where you need to go with the push of a button. Finding the perfect Audi A8 near Vancouver can be tricky and elusive. You will want to go to the place that specializes in Audis for the best deal and service and there is nowhere better in the Lower Mainland for that kind of specialization than Audi Langley. With our helpful and low-pressure sales team at your side, you will be on the road in the lap of luxury in no time at all. So, what are you waiting for? Come and see us at Audi Langley today and let's find you the A8 of your dreams! It was a pleasure dealing with Joel & Richard. Love the new ride! Thanks for making it easy.